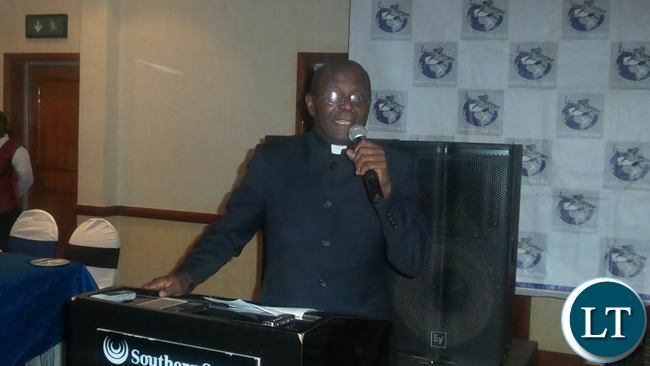 The Zambia Conference of Catholic Bishops and the Council of Churches of Zambia has opposed the proposed formation of the Ministry of National Guidance and Religious Affairs. In a joint statement, Zambia Conference of Catholic Bishops President Teresphore Mpundu and CCZ President Dr. Alfred Kalembo said the Church and State should be and continue to remain separate. They said in view of the various financial and economic challenges our country is currently facing, they neither see the creation of the said ministry as a top priority nor a prudent decision. The Church leaders said they believe that Zambians want their country to be a democracy rather than a theocracy. “In other words, the Church derives its authority, mission and structure from God and this must not be confused with temporal order of political governance. Fourthly, we take this opportunity to reassure our membership that, we the said Church Mother Bodies, will not be intimidated in exercising our God-given mission of being the conscience of the nation and exercising our prophetic ministry of calling for social justice following the example of our Founder, Jesus Christ,” they said. We have heard from CCZ and the ZEC, what about the Evangelical Fellowship of Zambia (EFZ)? What is their stance? Chagwa wants all the charlatan and voodo priests to come and start building their cult houses in Zambia. Religious affairs, all these so-called overnight pentecoastal churches are fooling our people. Chagwa wants them to pray to the devil for his soul that he sold when he stole the election. Hail our church leader. Well said. This ministry is meant to serve as a propaganda tool for Chagwa to make him look holier than thou. We already have a well structured religious set up with is self regulated. Chagwa want to introduce nzulu zamu komboni having moved from chawama. He want to bring kombonic behaviours to the nation at large. Whatever can be said to be separation between church and governance, may not be justifiable in any meaningful way. Show me one Catholic Church or Independent Church which has not registered with Government through the registrar of societies (Caesar), but has registered directly with God. If they have registered, show me the scripture which says and it shall come to pass that the church shall register with Caesar. Are these not the people who have even complained of the conmen who are operating as men of God, swindling women and the public? What is wrong with having a system that regulates the religious activities. What would be wrong is if ‘government’ starts to preach in the name of government. Its utter f00lishnesss to expect a dictator to consult any body when making decisions. Dictators like Lungu just do things as long they can see it benefiting their hold on power. In this case the church should just shut up and continue to support what ever Lungi decides for them because they campaigned flatout and helped him tig the elections. This is why it is important to consult widely before you issue statements as a leader in a country. This announcement clearly shows President Lungu didn’t consult these important bodies who will be directly affected by the creation of such a ministry. This lack of consultation is also being exhibited by the newly appointed ministers with each one trying to outdo the other with pronouncements that are not coherent. You all need to sit down as a new govt and agree what is priority and speak on that. Consulting widely is not the same as agreeing with everyone. This is Zambia. He does not say anything, he is visionless. He says this, he has not consulted. Why consult you? The PF has a Manifesto not your ideas imweee! You don’t agree, fine be….! The ministry, in my view is just a link between the Church and Government. It does not unify Government and the Church. How do you call that to be Theocracy? That is why they say that little knowledge is a danger. Why the abuse of the words in this regard. When was the last time CCZ agree with Government? last time I checked, I could not remember when. In your view, what is there to prevent the Minister to issue Statutory Instrument and impose “regulatory” provisions on the churches? Whilst at this stage, “Theocracy” is distant possibility, nevertheless it is distinct possibility. There is absolutely nothing in the Constitution which can prevent possibility of political party becoming “official voice of Christianity”.!!! Somehow your view looks rather shallow or extremely superficial. After all, we are already subjected to the PF propaganda about “anointed” and “chosen one”, never mind recent creation of highly politicized and divisive organisation “Christians for Lungu”!!! Finally someone with an ounce of common sense, saying it as it should be. That silly Ministry of Religious affairs is just a sugar coated Ministry of P.F Propaganda, there to make Chagwa holier than thou, as Africans are the easiest people on the planet to hoodwink, hence all these Rich Evangelist Conmen mushrooming all over the Continent. AFRICA IS WELL & TRULY DEAD, WITH ITS RELIANCE ON SUPERSTITION, RATHER THAN SCIENCE!! Even in church jealous yaminyokola..! Don’t we have pastors and bishops in politics? Politics and religion and inseperable..! These guys want to be visiting the President. They are afraid they will be talking to the Minister who they think is religiously speaking, is their junior. I know these guys. Well they say one’s soup is another person ‘s poison. Do ordinary Catholics get consulted before our bishops make pronouncements? To me as Catholic, it doesn’t matter which way it takes. Chakolwa is so stubborn he won’t listen. If I can remember well I have read on this news online that the President would like to create a ministry of religion . This was his thought, did he consult his members of parliament , the mother bodies of churches to agree with him what he had in his mind? I am certain no because the parliament is not open. Any invention needs to be tested and approved. In commonwealth countries do we have any country with such ministry? This ministry is there already under ministry of home affairs (registrar of society) it’s matter to give them more powers. When the country was declared CHRISTIAN nation, why did the bishops hide their heads in the sand and for so long have kept their mouths zipped?